They all get together every day to cheep about the wind, the quality of the food, the temperature. It's like a big kibbutz, but what else do they have to do? 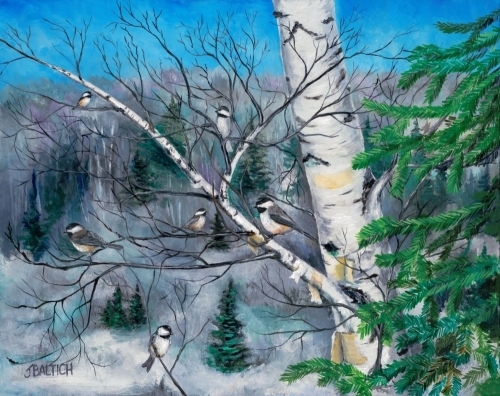 A life of complete freedom in the safety of birch trees is something only chickadees get to truly enjoy.